Last week I had the opportunity to take a look at Oshkosh Mayor Paul Esslinger's collection of Oshkosh breweriana. It's an amazing collection and I'm thankful to him for sharing it with me. He couldn't have been more generous with his time and knowledge. Over the coming weeks, I'll be posting photos of various items from his collection. I'm going to kick things off with this short video of an electric People's Beer sign from the 1950s. I love this one! There are approximately 66 taverns in the City of Oshkosh. There may be a few more or less depending on how you define your terms, but the exact number doesn't really matter. What does matter is that 66 is far too small a number. We're falling behind, people! 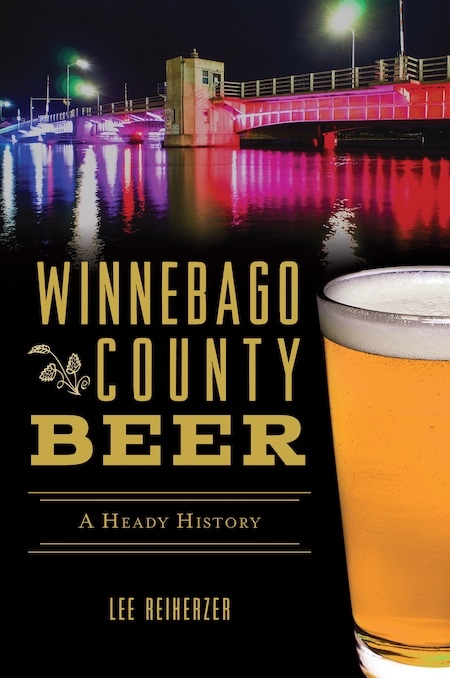 On September 21, 1849 the Oshkosh True Democrat published a story reporting that "our town" had 1,032 inhabitants, one brewery and three taverns with "another nearly completed". You can sense the pride the paper took in reporting these numbers. They were right to be proud. A ratio of 1,032 to 4 meant there was 1 tavern for every 258 people living in Oshkosh. Contrast that with today's sad numbers of 1 tavern for every 953 people (Oshkosh pop. 62,916) and it becomes clear that we all have a lot of work to do. Let's start tonight. Do your part by going out and visiting two or three of your favorite spots and sampling their brews. You'll feel good knowing that you're working to improve Oshkosh. Let's all be proud, again! If you were to pick a building to represent the absolute low point for beer and brewing in Oshkosh, this would almost certainly be it. 1506-1512 South Main Street. This is where People’s Brewery, the last of the Oshkosh lager brewers, bit the dust. People’s went down in November of 1972. 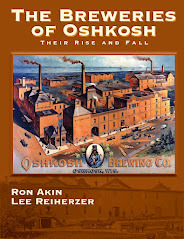 A year earlier the Oshkosh Brewing Company had similarly gone dark. 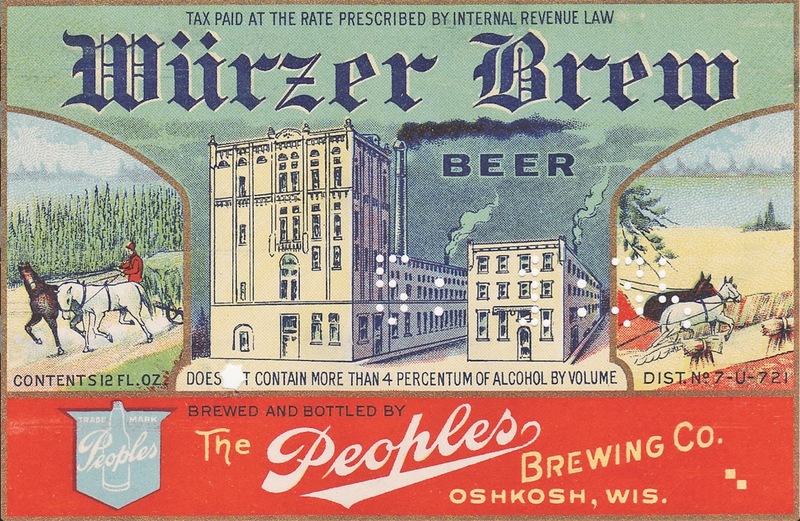 Here was the quick, albeit temporary, end to beer being brewed in Oshkosh. In 1973 if you drank beer in Oshkosh it came from somewhere else. Homebrewing was illegal. Most likely, your beer of choice was thin, fizzy, pale and made with the cheapest ingredients available to the mega-brewers trucking it into town. Piss water, as they say. Today, 1973 doesn’t seem so much like another time as it does another planet. Tonight, if you live in Oshkosh, you can walk out your door and find good, even great beer within five minutes. Most of it’s still coming from other places, but plenty of it isn’t. The homebrewing scene here is thriving. 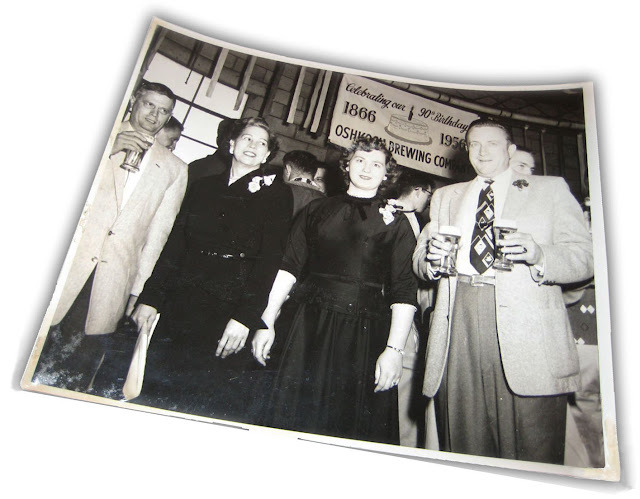 Its cornerstone is the Society of Oshkosh Brewers (SOB), a fun club of brewers producing gallons of high-quality beer. Fratellos, the only licensed brewer in the city, is currently serving an Imperial Stout that is excellent by any measure. And I seriously doubt they’ll be the only commercial brewer for too much longer. If what’s made in Oshkosh doesn’t suit you, you’ll have a good time exhausting your options with beers made elsewhere. Oblio’s, O’Marro’s and Peabody’s are just three of the local taverns that have outstanding beers on tap. D.B. Paddock’s bottle list is filled with great imports. Restaurants like Becket’s and Dublin’s are seriously into their beer and always have something interesting to try. If that still isn’t good enough, you can gripe all the way to the nearest grocery store and treat yourself to a bottle of New Glarus Belgian Red. As you take it in you can rest assured that you’re the envy of throngs of beer drinkers who have never even heard of Oshkosh. What we're aiming to do here is establish a site where Oshkosh beer drinkers and brewers can come together and find out what's going on beer-wise in town. In the weeks to come, we'll be featuring Oshkosh beer brewers, Oshkosh beer drinkers, Oshkosh beer servers, Oshkosh beer historians, Oshkosh beer news and just about anything else you can put an Oshkosh beer in front of. Off to the left, you'll see the Currently Pouring list. Click on any of the taverns or restaurants featured there and you'll find a complete and up-to-date menu of the beers they're serving on tap (and in some cases, bottles as well). Our goal is to keep this list as current as possible. With the help of these establishments and the readers of this blog, we should be able to do that. But to make this work, we need the beer lovers of Oshkosh to speak up and let us know what you're drinking and brewing. And why you're drinking and brewing it. If you have beer stories or beer news, please get in touch. If you know of a good beer bargain around town, tell us and we'll get the word out. If you know of other taverns or restaurants that ought to have their tap lists featured, let us know. We don't mind doing the leg work, but we'll need to hear from you to get the barrel rolling. So here we are. Now lets drink some beer and have a some fun!